Palisade Park is Orem's newest edition. A large section of the former Cascade Golf Course was turned into a new city park in March of 2015. It features new tennis courts, playgrounds, pavilions and lots and lots of spacious lawns and mature trees. Palisadie park is Orem's newest park. It was converted from the long-time Cascade Golf Course. It has a large playground, tennis courts, and a nice pavilion. In the summer of 2017, Orem opened its first Splash Pad at Palisade Park. It was built to resemble features near Orem including Mt. Timpanogos and Bridal Veil Falls. There is a "river" to splash down, 22 spray nozzles up and down the river and on the splash pad, plus Utah's first "Weave" spray. Learn more at Splash Pads in Orem. 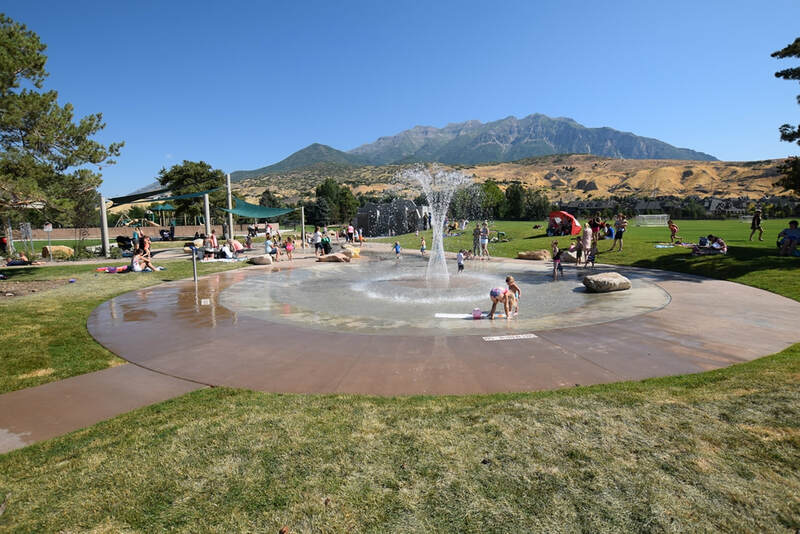 Watch the Orem splash pad video from Orem City.